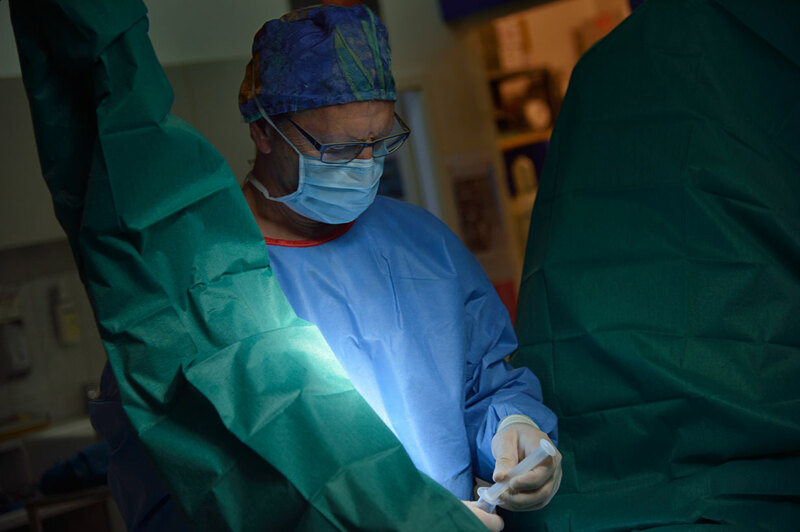 Offering the entire spectrum of surgery – arthroscopy, osteosynthesis and soft tissue surgery – our emphasis is orthopaedic surgery. Soft tissue surgery contains all kind of surgery in the larynx and pharynx as tie-back/ tie-forward surgery and surgical procedures for treating cribbing, epiglottic entrapment, subepiglottis cysts and granulomas. 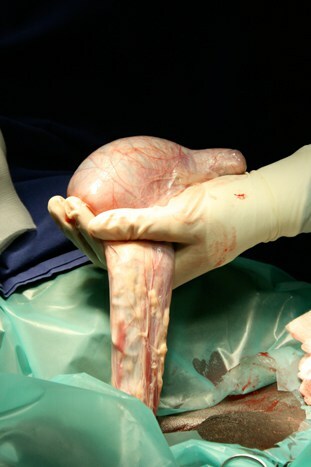 Laparoscopy is mainly used for castration of the cryptorchid horse and removal of ovary tumors in the mare. Laparoscopy can also be a helping diagnostic tool in patients with nonspecific internal problems in the abdomen (for example splen, liver, kidneys and guts). 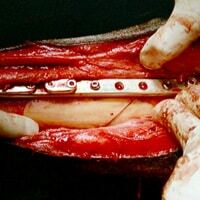 For complex soft tissue surgeries we have the opportunity to call in Prof. Dr. A. Rijkenhuizen from the Netherlands. Tumor surgery includes all kind of skin tumors, invasive eyelid tumors as well as ethmoid haematomas and sinus cysts or tumors. Another field of profession is the removal of incisors or cheek teeth and the surgical treatment of paranasal sinus diseases. Fractures involving the mandible, maxilla and/or skull can be fixed internally (with wire cerclage or bone plates and screws) or in more complex cases externally (external fixator). The Bargteheide Equine Hospital is one of the only hospitals in Germany offering a surgical treatment of ataxia (wobbler surgery) in horses with a compressive lesion of the cervical spinal cord. In severe cases of kissing spines not responding to conservative treatment there is also a surgical way of treatment. 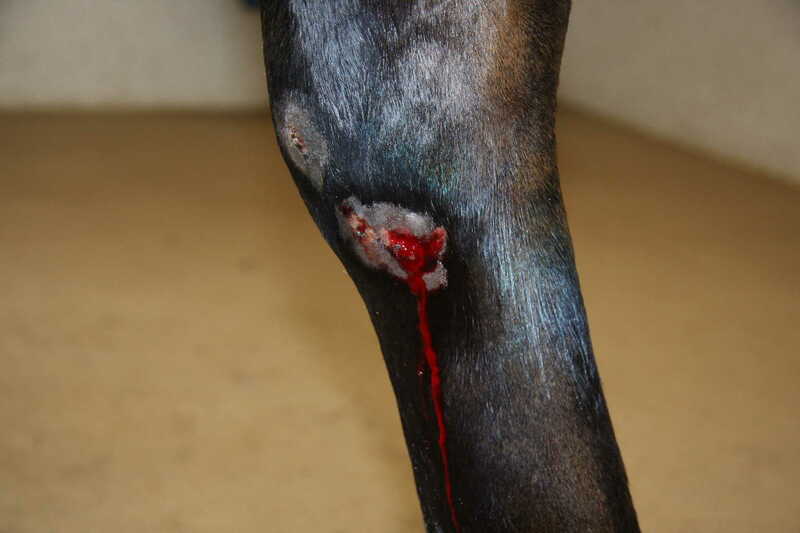 In case of emergency our team of vets and nurses is available 24 hours a day to treat any kind of injury conservatively or surgically.